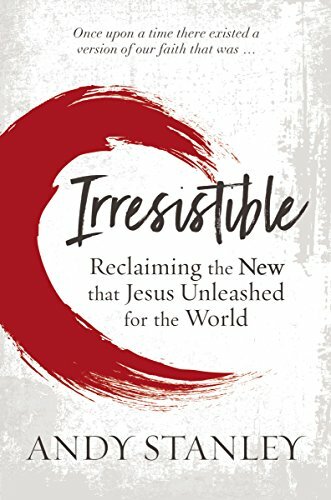 Irresistible: Reclaiming the New that Jesus Unleashed for the World. Pastor Andy Stanley overstates a central theme in his argument, but his critics should learn something from him as well. A little backstory, as to why I decided to read this challenging book: I am not really the type of guy who would be naturally drawn to a pastor like Andy Stanley. At least, that is what I thought a few years ago. Andy Stanley is the son of the well-known Atlanta pastor, Charles Stanley, who for years has been an example, par excellence, of classic, traditional Bible Belt preaching. When I think of the oft repeated phrase, “The Bible says… the Bible says…,” I think of Charles Stanley. But I must confess. While he has had a profound, positive impact on the lives of many, and I am sure he is a wonderful man, Charles Stanley’s teaching never thrilled me personally. Apparently, this woman did not understand why anyone in a Bible-believing church needed to waste their time learning about church history. I responded by saying something along the lines of, “Yes, I do believe that God works in history. Jesus did not just stop working in the world after the completion of the New Testament, and He continues to work in our world today.” This genuinely sweet woman then had that “I-have-no-clue-what-you-are-talking-about” look on her face. I got the message: Just stick with the Bible, and forget about this history stuff. “The Bible says” is good enough. I thanked the woman, as she was kind and well-intentioned, and while I did eventually listen to the tape, and agreed with the teaching message, I was still flustered. For if this woman, who evidently was a big fan of Charles Stanley, was learning that we should disregard the lessons of God’s working over the past 2,000 years, since the closure of the New Testament, then I was not really impressed with what she was being taught. My less-than-enthusiatic encounter with my less-than-enthusiastic church history student pretty much poisoned me. Frankly, Charles Stanley’s son, Andy, had never been on my radar, at all, until a few years ago. When I learned that Andy Stanley, a former youth pastor, now a mega-church pastor himself, started to rise in prominence, I really had no interest in learning anything from him either. Like father, like son, I supposed. Life is short, and since I can not read or listen to every resource article or sermon someone gives to me, I just left the ministries of the Stanleys at that. That was until son Andy began making waves among his fellow Southern Baptist, conservative evangelical constituents. Though Andy Stanley continues to believe in the inerrancy of the Bible, he no longer thinks that the old evangelical mantra of “the Bible says” really works any more in an increasingly post-Christian society. We simply can not assume today that people believe the Bible. That is a pretty big shift in message from the elder Stanley…. and it got my attention, because that is the world I live in. My interest was sparked. Perhaps the younger pastor Stanley has something important to say after all. As it turns out, he does. I am chagrined to think that I never paid attention to this before. Andy Stanley believes that Christian Bible teachers need to seriously rethink how to reach out to a large segment of American society, that has become turned off by traditional Bible Belt-type church. Plenty of adults today grew up hearing all of the Bible stories, but for many of them, they have outgrown church, finding many of those stories difficult to believe, and the young pastor Stanley wants to bring those folks back to church. But many fellow pastors and church leaders are concerned when someone as well-known as Andy Stanley might be suggesting a solution that could possibly water down the Gospel message. The controversy over Andy Stanley really came to a head in the spring of 2018, following a sermon series given by Andy Stanley, where he announced that Christians need to “unhitch” their faith from the Old Testament. Stanley sought to clarify what he meant, in a way that I thought might assuage his more moderate critics. Though, of course, those on the most extreme right, would and will never forgive him. So, when Andy Stanley recently released a book, Irresistible: Reclaiming the New that Jesus Unleashed for the World, that basically builds on the themes of that sermon series, I paid attention to the less than enthusiastic reviews starting to come in, particularly from more academic sources, like Southern Baptist theologian, Tom Schreiner; Reformed Seminary of Charlotte, North Carolina president, Michael Kruger; and a particularly fierce review by another Baptist theologian, Owen Strachan. Whether for good or for bad, Andy Stanley will probably be forever remembered as that pastor who wants Christians to “unhitch” themselves from the Old Testament. Now, not everyone has been negatively critical. There is the well-known apologist, Frank Turek, who enthusiastically endorses Stanley’s work. Plus, we have the fact that Stanley’s Atlanta church, Northpoint Community Church, has a weekly attendance of 38,000, making it currently the 2nd largest church in America, with newer congregations all over the world continuing to join the NorthPoint Ministries partners network. Mmmm… What is one to make of all this? The young pastor Stanley is right about the decline of interest in traditional Christian faith, particularly among young people. The idea that “the Bible says it, I believe it, and that settles it,” may work well for the already convinced. After all, why do you need to consider all of the available evidence, when you already have an inerrant Bible in your hands? This may sound like a “no-brainer” to some, but this way of thinking does not help those who have suspicions about the Bible’s trustworthiness. As Andy Stanley puts it, he is not primarily concerned about folks already in churches, who already believe. He is concerned about the faith of your son or granddaughter, who is growing up in a world, which is growing more and more skeptical of Christian faith, every passing day. But does the young Atlanta pastor diagnose the problem correctly, and offer the best solution? I decided to pick up the audiobook version of Irresistible, and find out what the fuss was all about myself. I am glad I did, but I had to weed out the good from the bad of Andy Stanley’s argument. Andy Stanley believes that Christians for too long have tried to mix and match the Old and New Testament (or “Covenants”) together. According to Stanley, when Christians have done that, they have effectively made the “New” into something “Old,” with terrible results. As an illustration, Stanley considers the Old Testament, otherwise known as the “Old Covenant,” to be like the old cell phone you have. When you get a new cell phone, you refer to your old phone as “obsolete.” You enthusiastically embrace your new cell phone, as exactly that, “new,” though you appreciate how your old phone got you to the place where you can better appreciate your new phone. But for some reason, Christians have had a tendency to cling on too much to the Old Covenant, when they should be fully embracing the New Covenant, with Jesus. Why should we hold onto the Old, when there is a newer, better Covenant, with Jesus, in the New Testament? For example, Stanley asks why so many Christians seemed to be more concerned with placing the Ten Commandments, from the Old Testament, in public places, than they are in elevating the Sermon on the Mount, from the New Testament? In Stanley’s narrative, clinging on too much to the Old Testament, with its Old Covenant, has seriously damaged the reputation of the church. Stanley has a point to make, so hear him out. It made me think of the 2007 humorous memoir, by best-selling author A.J. Jacobs, an agnostic Jew, chronicling his one year attempt to try to follow everything commanded in the Bible, Old and New Testament, while living in New York City, The Year of Living Biblically: One Man’s Humble Quest to Follow the Bible as Literally as Possible. Do you have T-shirts made out of a mix of cotton and polyester? Well, according to Leviticus 19:19, Jacobs had to throw those out (Just skip the video if already know about the book). On a more serious note, look at church history: Just think about how the Old Testament has been used to justify things like the rejection of interracial marriage, and the acceptance of racial-based slavery in the American South. Did the Old Testament Jews commit genocide against the Canaanites, and was this not used as a pretext for 17th-to-19th century, Americans of European descent, to nearly wipe out Native Americans, like the Cherokees? So now, it seems like church history tells us that we Christians have some skeletons in the closet. For the skeptic, or even one raised in the church, this raises an obvious question: Why practice a faith that seems so morally compromised, in its history? I guess my former, disenchanted church history student never thought about that one before. Yet here I would have to side a good bit with Andy Stanley’s critics. Boldly stating that the Old Testament is “obsolete,” in such a broad sweeping manner, does not remove the entire scandal. Acts 17, in the New Testament, has been used just as much to promote racism, as has selected passages of the Old Testament. The Apostle Paul never jumps out and explicitly condemns slavery in the New Testament. The “fire and brimstone” God of the Old Testament shows up again with the startling deaths of Ananias and Sapphira, in Acts 5. The Old Testament is admittedly a violent book, but the Book of Revelation, with its rivers of blood, is hardly a breezy walk on a nice summer day. These texts need to be rightly interpreted. Nevertheless, more elements of the Old Covenant make their way into the New Testament, than what pastor Stanley cares to admit. Simply “unhitching” our faith from the Old Testament, does not cut it. No, a more nuanced approach is needed. Sure, circumcision and the Kosher food laws are not carried forward from the Old Covenant to the New Covenant as a requirement for all. But the commands to honor your mother and father, and not to steal, are indeed carried forward into the New. Old Testament Israel was a political entity, given the power of the sword. But under the New Covenant, God’s people are to be witnesses to Christ, bearing the cross, and loving one’s enemies. Being able to carefully distinguish between what is carried forward and what is not, and just as importantly, why, is a crucial point to be made, that pastor Stanley unfortunately failed to effectively expound. Perhaps you can chock up the bold rhetoric to a pastor’s prerogative, allowing one to overstate one’s case in order to get our attention. Maybe. It sure got mine! Nevertheless, taken at face value, throwing the whole of the Old Testament, in terms of application, under the bus, does not fully lead to the solution that Andy Stanley is after. Andy Stanley. A modern day follower of the early church heretic Marcion, a hater of the Old Testament? Not really. But he sure says some things that drive his critics crazy. What Stanley has done is to take the 20th century narrative of classic dispensationalism, once popular among conservative evangelical, Bible Belt teachers, such as his father, that sees a radical discontinuity between the Old and New Testaments, and drive it into a whole new direction. But instead of viewing the story of the New Testament church as a type of dispensationalist parenthesis, being shoehorned into the main story of God’s dealings with his Old Testament people, Israel, Stanley flips the narrative around, announcing that God’s New Covenant has rendered the entirety of the Old Covenant antiquated. This sounds dangerously close to being a type of incipient Marcionism, named after the 2nd century heretic of the church. Marcion was a wealthy man, who stirred up controversy in the church in Rome, believing that the God of the Old Testament was not the same as the God of the New Testament. Marcion taught that Christianity should completely reject the Old Testament as Scripture, and settle for a trimmed down version of the New Testament, as the authentic Word of God. This led the early church to eventually condemn Marcion, and fully reaffirm the Old Testament as sacred Scripture for Christians. Note that Stanley would never go as far as Marcion, by rejecting the Old Testament as Scripture. Contrary to some of his critics, Andy Stanley is not really a Marcionite, but at points in Irresistible, he sure comes across that way. Nevertheless, Stanley’s apologetic concerns are commendable, and his critics do not always do his insights justice, so to speak. For example, by regarding the Old Testament as effectively “obsolete,” I might have thought of this to be a potential justification for a so-called “replacement theology,” a popular metaphor today used as a wide-sweeping pejorative, that in its essence says God is somehow “done with the Jews.” Some critics do indeed lump Stanley into that pejorative category. But the way Stanley frames his story, he surprised me. Because Christians have traditionally mixed and matched the Old and New Covenants together, there has been the tendency to misappropriate Old Testament language about Israel, and wrongly applying it to the New Testament concept of the church, and even further, to the political institutions of Christendom. Some even take it today to teach that America, as a modern nation-state, is somehow the “new Israel,” thus inappropriately replacing Israel with America. I could not agree with Andy Stanley more. Old Testament Israel could theologically justify her anger against her pagan enemies, according to the Hebrew Scriptures. In turn, Christians have mined the Old Testament to justify anger against the enemies of the church, including Jews who have remained resistant to the New Testament message. As a result, Christians have taken the Old Covenant and applied it to themselves, thinking that the church has replaced Israel, leading to the worst forms of anti-semitism, that have stained the legacy of the church. This mixing and matching of the Old and New is what Andy Stanley finds to be so problematic in church history. So, while still hammering away at the classic dispensational motif of a radical break between the Old and New Covenants, Andy Stanley is simultaneously breaking away from standard dispensationalist readings of the New Testament for apologetic reasons, to show that Jesus made a bold and accurate prediction of the Temple’s destruction, some forty years before the event took place, as a demonstrative proof of the truthfulness of the Christian faith. On top of that, Andy Stanley correctly shows that much of the popular “prosperity Gospel,” that seductively attracts many religious people today, is based on this problematic tendency to mix and match Old and New Covenant promises together. How many times have you heard Jeremiah 29:11, “I know what plans I have for you… plans to prosper you,” etc. used by a Christian as a promise from God to them, to get a new car, a better job, or brand new house? Is that what Jeremiah 29:11 is really about, for today’s Christian? This leads Andy Stanley to ultimately conclude, in the last section of Irresistible (chapters 21-24), that what made Christianity so irresistible, in the first few centuries, and that can make our faith so irresistible to a new generation today, is a renewed focus on the resurrection of Christ. Even if there are elements of the Bible that may deeply trouble some people, such concerns pale in comparison to the reality of a human being raised from the dead. Here is where Andy Stanley, as a teaching pastor, really helps people who struggle with doubt. This is more about apologetic method, building an evidential case, step-by-step to support the Gospel, and not about developing a theology, based on an understanding of the Bible, whereby someone already presupposes the Bible to be true. Here is an excellent example to explain this: Many Christians who presuppose the Bible to be true, take a traditional reading of the Old Testament at face value, that an army of 600,000+ men, plus women and children, crossed the Red Sea, to make their way eventually into the Promised Land. End of story. No discussion is necessary. If you do not believe that, then you do not believe in the God of the Bible. But there is a problem: Modern archaeology tells us that there is no evidence existing, in the ground, to support the traditional interpretation of Exodus, that indicates that a 2 to 4 million strong mass of Israelites wandered around in the desert for 40 years, before conquering the Promised Land. Other viable interpretations and apologetic responses abound (well, …. some interpretations are more plausible than others), but the aforementioned judgment of many archaeologists today is enough to shake the faith of many who have grown up in the church. Stanley will concede this point for the sake of the argument: “Even if those events never occurred, it does nothing to undermine the evidence supporting the resurrection of Jesus and thus the claims he made about himself.” He is not denying the Bible, but Andy Stanley is saying that we must first start with a Resurrected Jesus, and then make the case for the Bible, not the other way around. To borrow from New Testament scholar, Michael Licona, no matter what one thinks of the Bible, if Jesus is risen from the dead, Christianity is true. Period. Apologist Frank Turek puts it this way, “Is Christianity true just because the inerrant Bible says it is? No. Christianity would still be true even if the Bible was never written.” Once you accept the story of the resurrection, how we look at the Bible flows out of how we might understand the truth of that Easter event. Methodologically speaking, our view of Scripture needs to follow from our understanding of who the Resurrected Christ really is, and not the reverse. In this sense, I do find Stanley’s reasoning compelling, if not “irresistible,” to borrow from his book’s title. Andy Stanley starts with the evidence, to lead the inquirer to the conclusion, that the Bible is God’s Word. This is very different from the idea of presupposing the Bible to be true, and then working from there. Evangelical Christianity today has the reputation of being morally compromised and factually lacking. This is very different from the story of the early church of the Roman empire winning over a pagan culture, with the Gospel of the Risen Jesus. Why should that not happen again in our day? Andy Stanley wants to remove those obstacles that have traditionally kept people from embracing the Gospel, particularly among those who have grown up in the church, but who have left that behind, because things like “Left Behind” theology no longer seem convincing anymore. How does the Old Testament and New Testament work together? 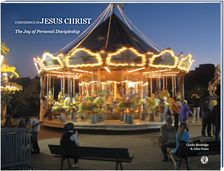 How might answering this question help us to see the Christian faith as Irresistible? As pastor Stanley put it, Christianity is ultimately an event-based faith, and not a text-based faith. 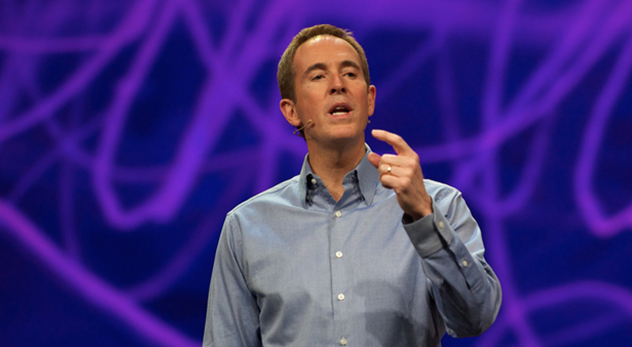 If Andy Stanley had capitalized on this positive theme, emphasizing the Resurrection as world-changing event, instead of coming back every now and then, in a semi-backhanded way, slamming the Old Testament, as a text that handicaps the presentation of the Gospel, he probably would not annoy his critics so much. I had to rewind my audiobook a few seconds when I heard this: “Thou shalt not obey the Ten Commandments” (page 137). Yikes. A more positive presentation of Andy Stanley’s argument can be found in these two interviews (#1 and #2). Making the Old Testament, with the Old Covenant, as he frames it, into the church’s primary stumbling block, is really not the best way to go about this. True, the Old Testament has been used to justify all sorts of “sins of the church.” But the problem is not with the Old Testament itself. Rather, it is the problem of the Old Testament being horribly misinterpreted, particularly in how it relates to the New. Here is a case in point. Andy Stanley suggests that Deuteronomy 7:3-4, from the Old Testament, has been used to prohibit interracial marriage. The message of the New Covenant supersedes this prohibition, therefore the Old Testament is obsolete. The problem with Stanley’s argument is that Deuteronomy 7:3-4 actually does NOT teach a prohibition against interracial marriage. As I have argued elsewhere (here and here), passages such as the one in Deuteronomy, prohibit marrying outside of the covenant community; that is, outside of Israel. It has nothing to do with race, or the color of a person’s skin, despite the fact that it has been misinterpreted that way, in certain periods of church history. When we get to the New Covenant, the same principle is carried forward, but applied differently. “Do not be yoked together with unbelievers” (2 Corinthians 6:14), as commonly applied today, admonishes the Christian believer not to marry someone who does not share the same Christian faith. In either case, neither the Old Testament nor the New Testament should be misconstrued to justify making marriage decisions, based on the color of a person’s skin. In other words, Andy Stanley has the right motivation in his heart, to reach out to people, particularly young people, who have been disaffected by traditional evangelicalism. But by confusing a caricature of the Old Testament with the Old Testament itself, as a central theme in his argument, Andy Stanley has misdiagnosed the problem, thus distracting the reader. Nevertheless, Andy Stanley is pushing on some things that need to be pushed. Christians need to recover the art of persuasion, if they really want to reach their neighbors, family, and friends for the Gospel. For example, Stanley helpfully recommends that we need to adjust some of the language in how we speak about “the Bible.” Instead of referring to the Old Testament, as the “Old Testament,” we should probably refer to it as the “Hebrew Scriptures.” When Christians talk about the “Old Testament,” it only annoys Jewish people. They do not think of their Scriptures as “Old.” Why needlessly offend them? “Old Testament” might be an acceptable term for Christian insiders, as I have done in this review, but I make it a point myself not to use the term “Old Testament” around Jewish people. Speaking of the “Hebrew Scriptures” opens up conversations, instead of shutting them down. Here is another Stanley tip: Instead of talking about the New Testament part of the Bible, as “the Bible,” we should talk about what “Paul says,” or what “Luke says.” In studying the Book of Acts this past year, in my small group, I was completely amazed at how often Peter and Paul simply focused on the story of the Resurrection in their preaching. Quoting from the “Hebrew Scriptures” did help their Jewish listeners know the Gospel, but it made no sense to the Gentile audience. It was this testimony of the Resurrection that impacted Gentile listeners, instead of appeals to what “the Bible says,” that encouraged some to believe. These are good habits of mind to cultivate, as they get us away from the common misconception that the Christian faith is built on the foundation of “the Bible,” instead of where it rightly belongs, on the foundation of the Resurrected Christ, who is the reason why we have “the Bible” in the first place. Andy Stanley’s critics would do well to pay heed to the reasoning why such language adjustments about “the Bible” are necessary. Despite the criticisms I have of Irresistible, Andy Stanley is completely right that churches need to rethink “business as unusual” when it comes to reaching the lost around us. We need less smoke-machines and less “skinny jeans,” when conducting Christian worship, and instead focus more on accurately and persuasively presenting the Gospel message to an increasingly skeptical, social media driven, younger generation. Sadly, many Christians have given up on the art of persuasion, and have taken a “circle the wagons” approach to simply defend the Gospel. Andy Stanley is right to try to shake the church up, to take a different approach. Altogether, Irresistible is an easily accessible look at one of the most perplexing questions of the Christian faith: How does the Law, specifically the Mosaic law, relate to the Gospel? Andy Stanley gives his answer. Some will be drawn to this message, as a breath of fresh air, an antidote to legalism. Others will not be so enamored, branding Stanley as an antinomian; that is, someone against the Law, promoting an “easy-believe-ism” that waters down the Gospel. The relationship between Law and Gospel rehearses a long standing, centuries old discussion. Anyone familiar with the history of the Protestant Reformation might recall the debate between the Swiss Reformers and the German Lutherans about the three uses of the Law, specifically, the Law of Moses. The first use of the law is to curb against sin. The second use of the law is to act as a type of schoolmaster, pointing us towards our need for Christ; a mirror that reveals to us the perfection of God, against our human imperfection. The third use of the law, hotly debated among Protestant Reformers, is to provide a binding, ethical, moral guide for Christians. As I read him, Andy Stanley weighs in on this classic debate by accepting the first two uses of the law, while rejecting the third. Andy Stanley is stepping on some toes, but rightly or wrongly, he is not the first Christian to dispute the third use of the law. Reading Irresistible is like a hard push against one side of the law-grace debate; that is, legalism, but then threatening to push too hard in the other direction, of antinomianism. It reminds me of Martin Luther’s analogy of the drunken peasant who falls off his horse on one side, only to try to mount the saddle again, but then falling off on the other side. Mmmm….I wonder what the elder Charles Stanley thinks about his son’s “new” approach to this Law and Gospel debate? My instinct tells me that a robust solution lies somewhere between father and son. To be fair, Andy Stanley does repeatedly seek to qualify his dismissal of the application of the Old Testament, in terms of positively appreciating the historical value the Old Testament has, for giving us a contextualized understanding of New Testament faith. In other words, Andy Stanley himself ultimately admits a limit to his “unhitching” of the Old Testament to New Testament faith. In my final analysis, my review of Irresistible is conflicted. Andy Stanley gets some things wrong, but he also gets a whole lot of really important things right. If you can keep the above criticisms in mind, I would recommend getting and reading Irresistible, as it will force you to rethink how you share the Gospel with your neighbor. Andy Stanley is emphatic in stating that he sees nothing wrong with the essential theology of the evangelical church. He still believes the Old Testament to be just as much God’s Word as the New Testament. He just rejects what he considers this mixing and matching of the Old and the New together, cultivating legalistic practices and theologies that tragically undercut the liberating message of the New Covenant. In pastor Stanley’s mind, regarding the Old Testament as essentially obsolete, would resolve this issue. Andy Stanley’s thesis is indeed provocative, and it does deserve attention, even though in the end, he pushes this theme so hard that it does not fully get at the root of the apologetic problem. This entry was posted on Saturday, January 26th, 2019 at 8:00 am	and tagged with Andy Stanley, Apocrypha, covenant, Old Testament, prosperity gospel and posted in Apologetics. You can follow any responses to this entry through the RSS 2.0 feed. I do love Dr. Michael Heiser’s (on the left) statements about the crucial, essential role of the Old Testament, and Heiser is right on the mark. People reading Irresistible might get misled by Andy Stanley’s argument, so this needs to be said. Amen to that. However, the pastor (on the right) interviewing Heiser has totally misrepresented Andy Stanley’s position taken in the book, and going in the wrong direction. Stanley is talking about apologetic strategy, to get people to have confidence in the Gospel. Despite Stanley’s overstatements regarding the Old Testament, his apologetic strategy is for folks to begin with the Resurrection of Jesus, and THEN, once we have confidence in that, begin to consider the Old Testament. This is about working with the evidence to build a case for the Gospel. It is not a “begin with the Bible as a complete package deal” form of presuppositionalism. This is NOT a full-blown rejection of the Old Testament as the pastor implies.